I purchased this book from Amazon to read for @blackheartreads book club. All opinions are my own. 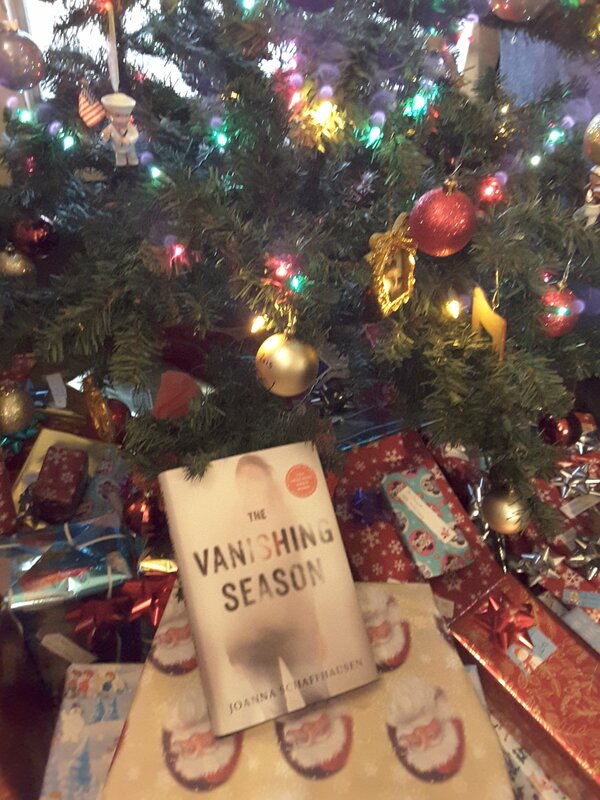 🌟🌟🌟🌟The Vanishing Season by Joanna Schaffhausen. An amazing mystery/thriller with clues placed in just the right amount of space you keep guessing and reguessing. Just when you’ve pinned it on one person wait 4 or 5 pages you will pin another. The clues all come together nicely in the end. Even though I had suspected the criminal early on I still wasn’t completely convinced until the end. Ellerie Hathaway has a deep, dark past she has managed to keep secret for years. It isn’t until the haunting fact of missing people and no one listens when she tries to explain that her past begins to flood the world. She must learn to come completely clean to everyone in that small town in order to save the one person she was trying to protect, herself. Review also posted on Instagram @jasonnstacie, Goodreads/StacieBoren, Library Thing, Go Read, and Amazon. I must say this is not a book I would have chosen for myself, not because I didn’t like it but it didn’t just jump out to me when I first read about it. However I settled around the idea that is the point of book clubs to entice you to read outside your comfort zone. I am very leery of crime books because I do not like the way the details get brushed over a lot of the time. I did not feel this with this book. The clues are there and you have to be able to analyze fact, thought, and reality all while reading. I can see where the plot leads to different suspects and I will say while I thought it could have been that guy I totally convinced myself early in it was a coworker above her rank…….turns out no. And while I feel like Sam will live with his regret for a very long time in the future, I feel like Tipton needs a lesson taught to him on a very real level.